The amended Bylaws were approved during IG Meeting of May 20th, 2018. 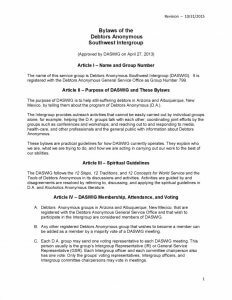 The Intergroup Bylaws Committee has reviewed the current DASWIG bylaws and has proposed changes. Below, you will find the current bylaws and an ammended copy with the changes proposed by the committee. Please take some time to review them and either add your comments below or send them to meetings@arizonada.org. 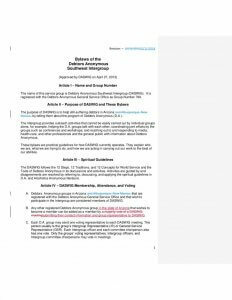 These proposed changes are scheduled to be voted upon for ratification during the regularly scheduled Intergroup meeting in May. Once ratified and approved, the bylaws on this site will be replaced with a clean (non-marked up copy) of the new bylaws.